Don’t let the cost of tax season keep you from keeping your dogs and cats healthy and vaccinated. 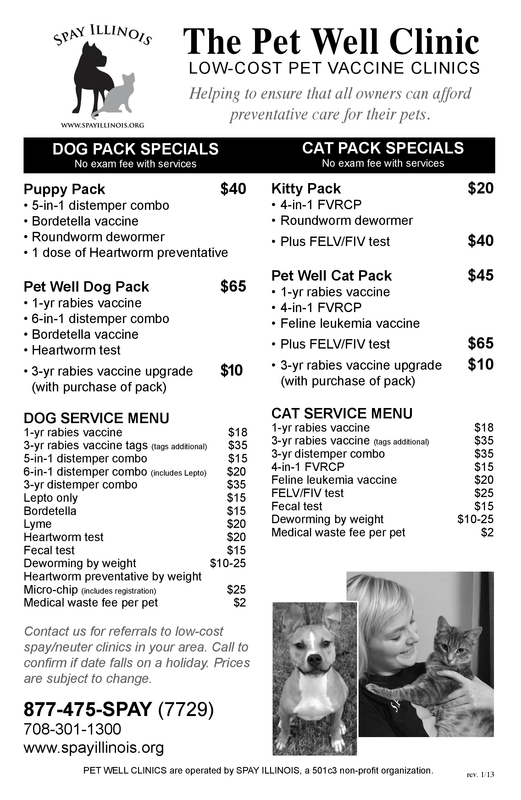 SPAY ILLINOIS offers discounted vaccine clinics. Spay, neuter, awareness, education, socialization, training, affordable vet care, food pantries…these are all methods to help keep populations at shelters down.